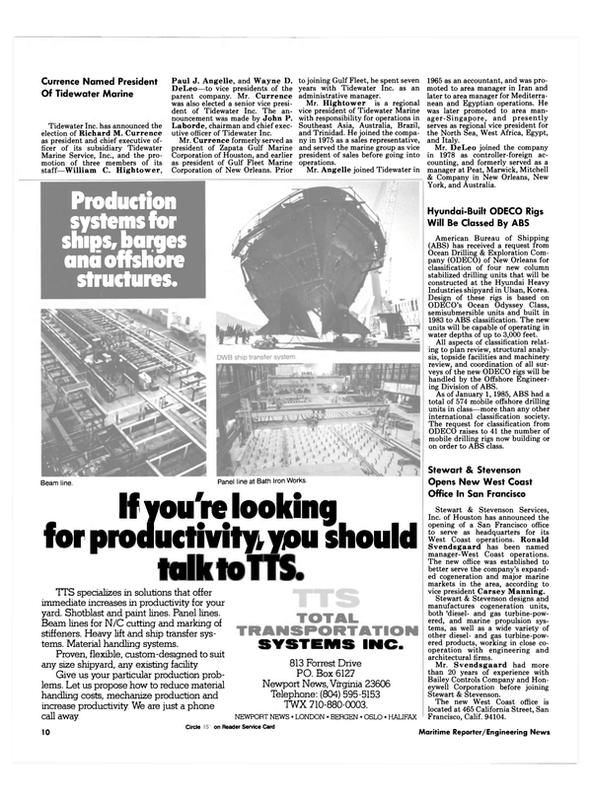 The American Samoa Government (ASG) recently announced that Southwest Marine, Inc., a leading U.S. ship repair company that operates three full-service shipyards in California, has been chosen to lease and operate the ASG Marine Railway and Ship Repair Facility in Pago Pago, American Samoa. For several months prior to the selection, the ASG had actively solicited U.S. ship repair companies to participate in the bidding for the lease and operation of the newly upgraded facility, which boasts a new 3,000-ton marine railway capable of drydocking the increasing number of modern tuna purse seiners now using Pago Pago as a home port. American Samoa Governor Peter Tali Coleman commented, "Southwest Marine brings a muchneeded, full-service ship repair capability to the South Pacific." He added that "Southwest Marine is committed to building that capability by the retraining and employment of American Samoan workers." The Source Selection Board involved in the review and evaluation of the contract decision included Adm. Thomas B. Hay ward, USN (Ret. ), former Chief of Naval Operations; Eugene Reid, a prominent businessman from American Samoa; and Lyle Richmond, executive assistant to the Governor of American Samoa. The agreement between ASG and SMI calls for a 15-year lease of the Pago Pago facility. Governor-elect A.P. Lutali of ASG expressed his support for this decision and noted that the presence of a company with Southwest Marine's reputation will help establish American Samoa as a leading commercial shipping center in the South Pacific.